Uncovering Food: Nutty Idea: Talking Trail Mix! Nutty Idea: Talking Trail Mix! Every fitness and health magazine cover in the last year has boasted the magical diet for flatter abs. And I bought them all. Who wouldn’t? I will openly admit that I would love to eat my way to flatter abs! What was the secret? I mean, in addition to portion control and incorporating exercise? Monounsaturated fats! According to Fitness Magazine these fats may reduce the amount of fat you store in your abdominal region. Additionally, monounsaturated fats reduce the bad cholesterol in your system. One of the best sources of these fats, in addition to olive oil, are nuts like almonds, macadamia nuts and walnuts. If you have been following Uncovering Food for a while, you know that I am nothing if not a nut addict. I am always in search of the next best nut company. And now my search is not in tasty vain! I can say I am just in search of flatter abs. The same issue of Fitness also featured an article on sugars. Within it, it recommended turning to dried fruits for sweet cravings rather than processed sugars because it reacts differently in the system and may not create the same craving cycles that more refined sugars cause. So my mission was clear. Find a company that offered me an opportunity to created my own blend of nuts and fruits that were delicious and nutritious. This meant no added preservatives or chemicals. And I think I found it! Nutty Idea is a company that focuses solely on trail mix and its components. This allows the company to offer high quality products at competitive costs, while allowing the consumer to design their own flavor combinations! I ordered three different mixes from Nutty Idea. The popular Rainman (almonds, pistachios, honey oat clusters, cranberries, cherries), another bagged mix of my own (chocolate morsels, pumpkin seeds, honey oat clusters, mangoes, strawberries, pistachios and cherries) and a gift tin (walnuts, Brazil nuts, mangoes, hazelnuts, pecans, macadamia nuts, pistachios, strawberries). Now I was concerned about getting these large bags of trail mix, because let’s face it. I have never been the best at nut portion control. But upon arrival, all I had to do was portion it into individual servings. I put most of the servings in reusable containers that made this a more environmentally friendly opportunity that buying everything in individual portions. Every ingredient that I sampled was fresh and delicious. The nuts were all full of flavor, with no duds in the bunch. The granola was still crunchy and the chocolate melted in my mouth. While I enjoyed the mangoes and cherries, I fell in loved with the strawberries. They were almost jellied in the drying process which left them bursting with flavor and not tough when chewing. All of my future Nutty Idea mixes will have to include strawberries! One of the interesting things is the cost for Nutty Idea products. The company prices each ingredient separately, so if your ingredients are less costly, you aren’t burdened with the overhead from the pricier orders. However, having expensive nut taste, I still found the pricier ingredients to make an affordable mix. Finally, remembering how small a portion of nuts really should be means that my order from Nutty Idea will last a long time… as long as I keep them hidden from the other squirrels in the neighborhood! According to Brett Blankenship, owner of Nutty Idea, "It really is not about the almighty dollar for us. Yes we enjoy profits but our staff really prides ourself on quality products you can not get at most local supermarkets at a great value. I want Nutty Idea to be known for top quality not necessarily lowest price. The neat thing is we have been able to keep the quality and yet even compete in pricing!" "I think the greatest testimony to Nutty idea is our repeat customers. once they try our products we have a large repeat business." The nutritional information will vary based on the ingredients you choose. 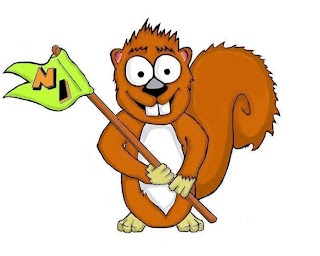 Nutty Idea is currently working on a program that will calculate the individualized mix as you build it, however in the meantime at the bottom of every page of the site there is a static block that has a section called Nutritional Information. A customer can go on there -- which really links you to every individual item offered -- and on that page you can view the nutritional facts for any item you desire. Now for the promotions! For anyone interested in a bulk purchase, you can order five pounds and during the checkout there will be an option to put in a discount code. Use the code 5lb to gain additional discounts off their already great prices. For those not as interested in a five pound order (although that drastically cuts down on your shipping costs and ultimately brings down the per pound cost of each trail mix), during checkout to use the discount code USA . . . this one requires you to sign up as a customer but gives you a discount on your first five orders. One final note, that was really cool to this sister of a solider, is that Nutty Idea will ship to military addresses. An awesome and healthy idea for a care package for your loved ones overseas! Nutty Idea sounds interesting, we here love trail mixes! That Trail Mix Looks amazing! That's nice that the company offers a bulk discount rate. Five pounds may seem like a lot, but you can always pool your order with friends who have similar tastes in trail mixes. Or trail mix and granola are two things that freeze beautifully. Carolyn and it cuts down on shipping costs making each bag less expensive!